Renaissance (meaning ‘rebirth’ in French) or Rinascimento is conventionally regarded as the era in Europe following the Middle Ages that was characterized by the renewed interest in Classical art, philosophy, and values. Roughly corresponding to the period between late 14th century to the early 17th century, many historians consider this epoch to coincide with a cultural and artistic revival in Western Europe, with its epicenter in Italy (or more specifically Florence). 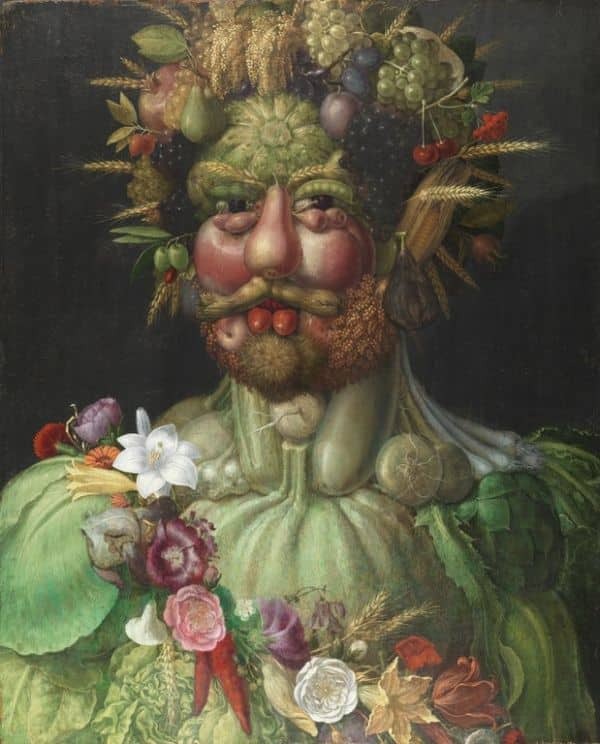 Other academics have also noted how the Renaissance possibly brought about a shift in focus to humanist values, thus resulting in not only pertinent artworks about also challenging the norms of established science, philosophy, and even religion. So without further ado, let us take a gander at ten factors that may have played their crucial role in the advent and evolution of what we know as the Renaissance Era. When it comes to the discussion of Renaissance, the popular trope often pertains to how it was brought on by the ‘new found’ Classical texts and manuscripts sourced and salvaged from distant parts of continental Europe and even Islamic Asia. While part of this scope remains true, we should also realize that medieval Europe in itself was not bereft of Classical literature specimens and their studies during the proverbial Middle Ages. Simply put, long before the advent of the 14th century (the epoch that is typically recorded as the starting date of Renaissance), there were cases of European resurgence in art and application of the philosophy of antiquity. Some pertinent examples include the ascendance of the Carolingian Empire (circa 9th century AD) and its penchant for Latinized elements and the ‘mini-Renaissance’ of the 12th century. The latter was known for a relatively large scale revival of Classical Latin texts along with Greek sources of science and philosophy and the founding of universities as dedicated educational centers. Another overlooked ‘catalyst’ for the Renaissance ironically entails the Crusades. Essentially, many of the European Crusaders were influenced by the cultural and scientific advancements of their Islamic counterparts, who in turn were known have preserved various Classical texts in both Latin and Greek. Suffice it to say, a few of the returning Crusaders brought such ‘exotic’ specimens back to their homelands, thereby revitalizing the interest of contemporary European scholars in ancient art, sciences, and works of philosophy. This fascinating scope also involved the highly literate expatriates who escaped from the centuries-long conflict in medieval Spain (between the Muslim Moors and the Christian kingdoms) and settled in the regions around Florence and Padua in Italy. 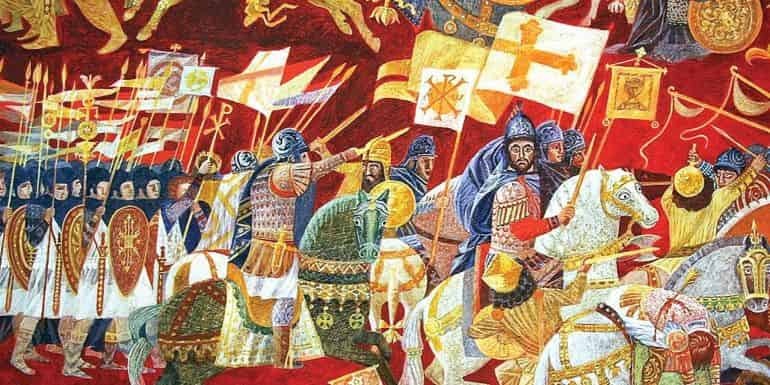 And lastly, according to some historians, the momentous Fall of Constantinople to the Ottomans (in 1453 AD) caused many medieval academics and artists to flee from the Eastern Roman Empire and settle in various parts of Europe. Some of these refugees would have escaped with their fair share of ‘literary’ valuables, including preserved ancient texts, manuscripts, and most importantly knowledge that encompassed the legacy of the Roman Empire and earlier Hellenistic institutions. 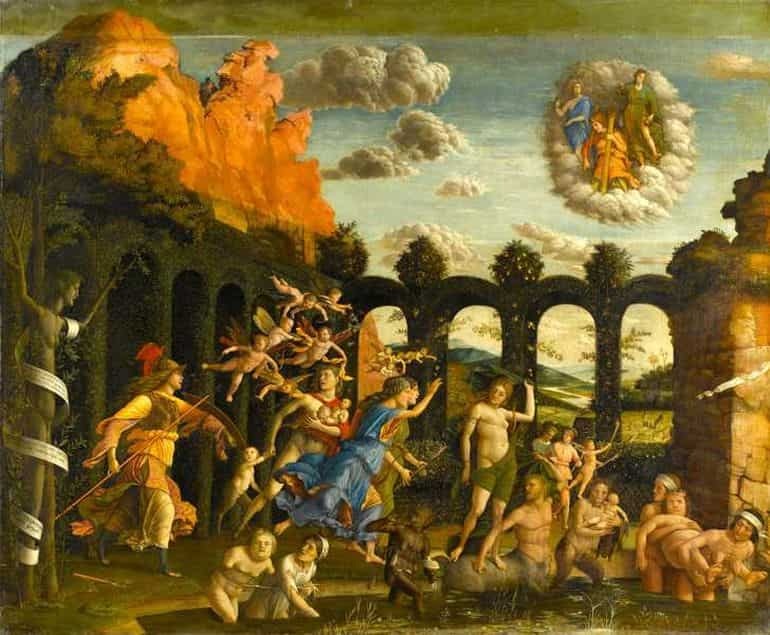 Some historians and researchers have theorized that beyond literary factors (like the revival of Classical art and literature), one of the main catalysts for Renaissance was possibly ‘internalized’ in nature. And it was ironically brought on by the Black Death – the devastating pandemic that possibly killed around 30 to 50 percent of Europe’s population, with the peak period corresponding to the years between 1347-1351 AD. To that end, one part of the theory states that the very baleful nature of the plague changed the psychological outlook of the survivors, many of whom looked forward to investing on their own lives, as opposed to the Church’s emphasis on the notion of the afterlife. In essence, there was a subtle paradigm shift in religious outlook, with piety being reserved for humanity’s relation to God via art and culture, not death and vague rituals. 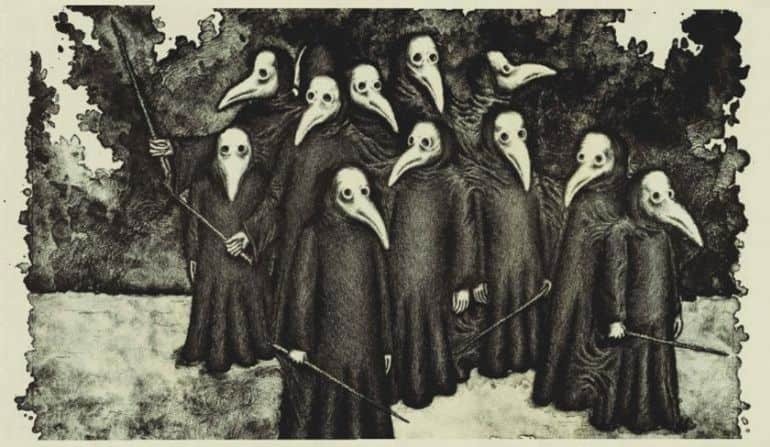 Another part of this theory takes the practical route and describes the social and political situation in the decades following the Black Death plague. During the period (circa late 14th century) the value of lands decreased (by around 30-40 percent), while the decimation of population enhanced the value of available labor. Suffice it to say, the commoners paradoxically tended to have better economic means complemented by greater social mobility and more leisure time. At the same time, some of the nobility escaped from the plague-stricken cities to move to provincial towns and estates. A pertinent example would relate to the Medici family that shifted to Florence (which was already established as a banking commune) and thereafter became patrons of artists – in a bid to flaunt their commercial power and high status. 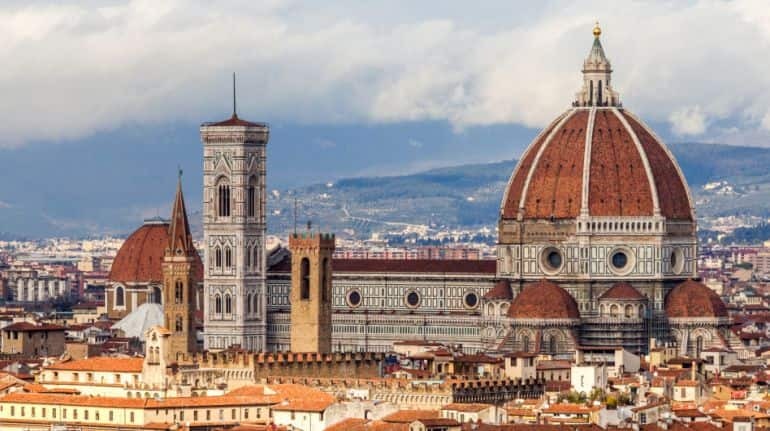 3) Florence – The Focal Point of Renaissance? Florence is widely considered as the ‘birthplace’ of Renaissance (or Rinascimento in Italian), though few scholars also attribute it to the whole of Italy. Now if we presume the first hypothesis, the question can be raised – why specifically Florence? Well, the answer to that is borne by various conjectures. Arguably, the most important of these pertain to the aforementioned social and economic aspects in the aftermath of the Black Death. To that end, like many European urban areas, Florence was devastatingly afflicted by the plague, which in turn caused the collapse of its feudal structure. But instead of anarchy, the power vacuum was filled by the nobility who still possessed their commercial and banking might (like the Medici). And by virtue of their economic power, they were able to invest in art and architecture, thereby fashioning a ‘system’ that valued cultural accomplishments over feudal titles and wars. Similar social ‘revolutions’ may have occurred in other parts of Italy and Europe, thus setting the tone for the advent of the Renaissance. Others have argued that Florence was already established as a center of art and culture before the Medici family arrived (and later gained their ducal status). In that regard, another hypothesis relates to how it was mere ‘chance’ that put forth Florence as the focal point of the Renaissance. This conjecture basically alludes to the pure luck that the Tuscany region was home to many of the Great Men, like Leonardo da Vinci, Sandro Botticelli, and Michelangelo Buonarroti. First, it [humanism] took human nature in all of its various manifestations and achievements as its subject. Second, it stressed the unity and compatibility of the truth found in all philosophical and theological schools and systems, a doctrine known as syncretism. Third, it emphasized the dignity of man. This doesn’t necessarily mean that the Renaissance humanists eschewed religion; on the contrary, they viewed and venerated religion as the pragmatic connection between man (as the creation of God) and God (as the creator of man). 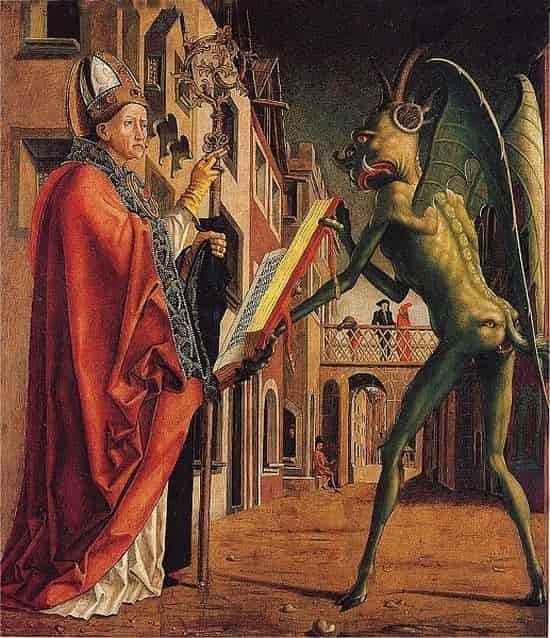 The change was apparent in the scholastic circles where the medieval mode of subjective conclusion was relegated. Instead, the Renaissance scholars based their studies on original ancient texts and derived conclusions through empirical evidence. The ‘hunt’ for such Classical texts was organized by the early humanist scholars from Florence like Petrarch and Boccaccio (circa 14th century AD). The movement also translated into a literacy drive for the citizens with a focus on clarity and eloquence complemented by principled and judicious thoughts and actions. This wholesome concept of educational reform was enshrined by the studia humanitatis (corresponding to modern-day humanities), comprising – grammar, rhetoric, history, poetry, and moral philosophy. Simply put, in many ways, the scope of Humanism put forth humans as the cornerstone of culture, and its aim was to revive the legacy and morality of classical antiquity. However, beyond morals and education, the tangible effect of the Renaissance is arguably still found through the multifarious specimens of art and architecture from the period. And like many a facet of Renaissance, most artists and architects of the era drew their inspiration from ancient Greek and Roman sculptures, decorative art, and remains of Classical structures. This influence was remarkably conspicuous, especially when compared to earlier Medieval art, fueled by its essence of realism. Simply put, the artistic techniques relied on conveying natural perspective and realistic light, shadow, linearity, and human anatomy, as opposed to imprecise, two-dimensional visual representations of subjects that were not bound by scale. On the architectural side of affairs, engineers and builders strove to integrate features like (Greek order) columns, pilasters, and entablatures. Interestingly enough, many of the greatest of these artworks were commissioned by the Catholic Church, thereby resulting in an impressive amalgam of religious outlook and artistic expression. On the social level, the ‘synthesis’ of human expression and in some part religious fervor did its best to marry the ideals of Humanism and the influence of the Church – resulting in not a conflicting but rather an edifying cultural revival. Consequently, we see examples of the Great Men who were both considerably religious and undoubtedly experts in their own field, like – Bramante, Michelangelo, and Maderno. The peak phase of the Renaissance (circa mid 15th century) saw the rise of polymaths like the great da Vinci who were known to combine logical elements of both art and science. 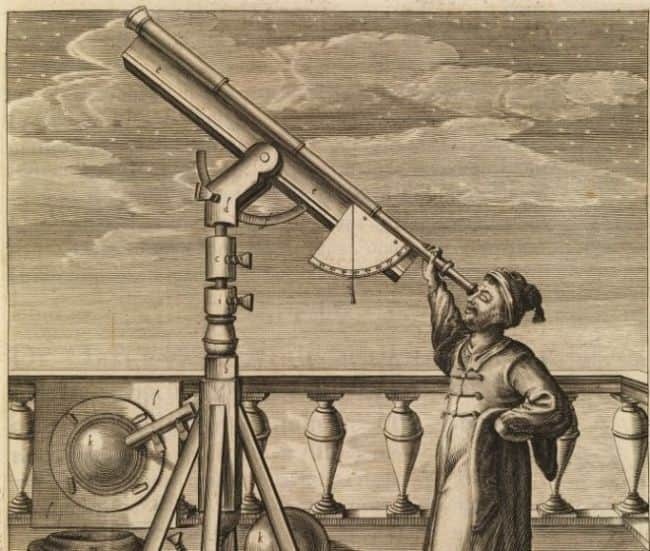 However, by the middle of the 16th century, scientists and astronomers were beginning to take the empirical route wherein they based their studies on discernable observation rather than conceptual notions. According to some historians, this shift in focus was possibly inspired by the discoveries of Columbus that directly challenged the Classical ideas of geography (put forth by Ptolemy). This heralded the scientific revolution that questioned the ‘truths’ of the earlier medieval period, with the emergence of seminal works like De Revolutionibus orbium coelestium (printed in 1543 AD) by Copernicus that (correctly) postulated how Earth moved around the Sun. At the same time, beyond astronomy, scientists made advancements in fields like mechanics, botany, anatomy, and acoustics. Now as opposed to the aforementioned fortuitous ‘synthesis’ of art and religion, science was gradually perceived by its adherents and practitioners as a domain that was separate from the teachings of the Church (this went against the medieval course where clergymen were mostly involved in scientific observations and theories). Suffice it to say, the Church didn’t take kindly to what they saw as ‘heretical’ statements (like the scientific insinuation that stated that the Earth was not the center of the universe), and such opposing views often resulted in the active persecution of many European scientists. Now we discussed how art in the early phases of the Renaissance was mostly fueled by the commissions of the Catholic Church. But as the effects of cultural and social revival took root in other parts of Europe (by early 16th century), especially beyond the borders of the Alps, it was inevitable that Humanism (and some of its secular ideals) would compete, of not clash, with the customs of the all-powerful Church. The position of the Papacy was also not as strong in the political sphere (as in the preceding centuries), especially with events like the Western Schism in the late 14th century and Conciliarism (a reform that sought to limit the power of the Pope) in the 15th century. The situation became even more exacerbated when the Papacy and specifically Pope Alexander VI (Papacy from 1492 – 1503 AD) were accused of corruption and nepotism. Thus a sort of reactionary path was expressed by the contemporary theologians like Thomas More, Martin Luther, and John Calvin, and many of them were known to be inspired by the principles of Renaissance Humanism. 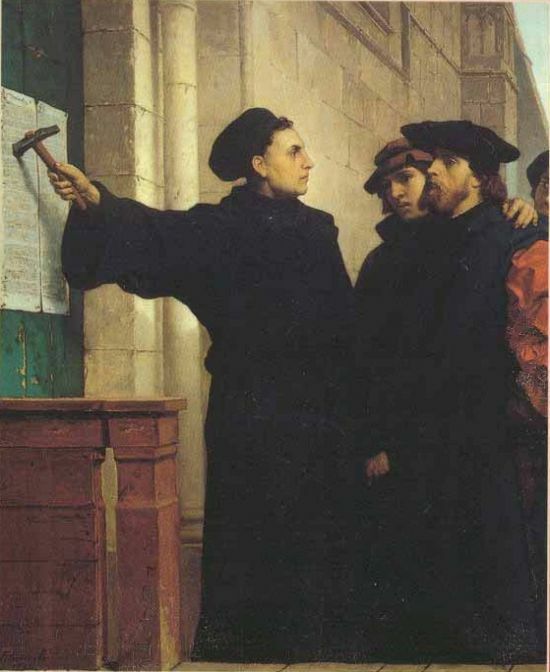 Consequently, the 95 theses laid down by Luther formed the basis for the Reformation, heralding a break with the Catholic Church that previously held religious supremacy in Western Europe. In essence, it was the Renaissance and its associated values of humanism that sparked the momentous change along with giving credence to various religious debates and theological ideas all across Europe. Erasmus (1466-1536 AD), often considered as one of the greatest scholars of the Northern Renaissance (Renaissance north of Alps), was originally trained as a Catholic priest. However, he went on to provide textual criticism of the New Testament governed by ideals of Humanism, thereby setting the precedent for the later movements of both Protestant Reformation and Catholic Counter-Reformation. And even beyond theologians and clergymen, we see the influence of Renaissance Humanism in Shakespearean works (like the Hamlet) – with its themes based around the nature and agency of man presented through both tragedy and comedy (much like their ancient Classical counterparts). Quite fascinatingly, one shouldn’t overlook the importance of the printing press in expounding and spreading of such humanist ideals to the proverbial ‘common man’. The invention in itself (achieved by Johannes Gutenberg in 1440 AD), was fueled by the public demand for reproductions of religious texts, along with the renewed interest in their classical counterparts. 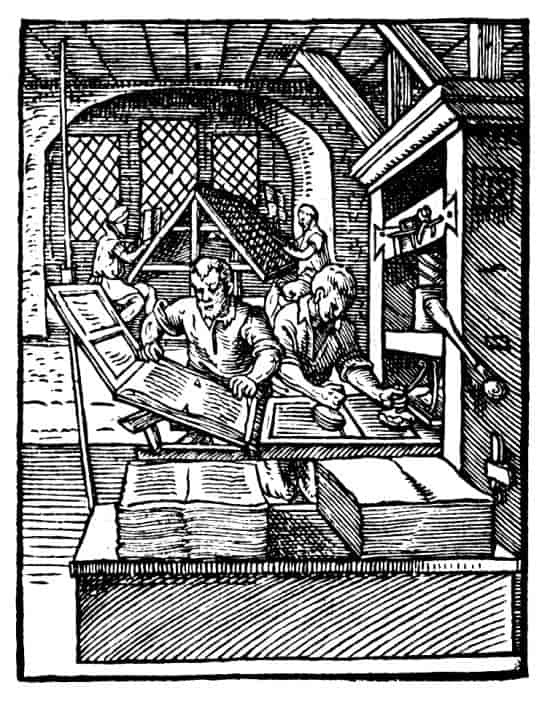 So, the printing press not only allowed for the circulation of the Bible in languages other than Latin but also facilitated the dissemination of secular texts and printed music. Consequently, many of the ordinary people now had direct access to the Scripture lessons (some from open libraries) as opposed to the ‘interpretations’ of the prevailing Church. 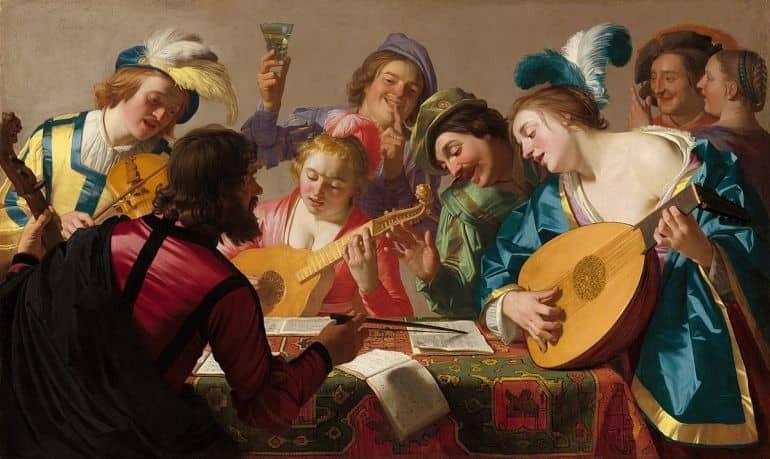 The Renaissance music and its development roughly correspond to the period between circa 1400 – 1600 AD. We already mentioned how the printing press played its glorious part in the widespread availability of printed music, and with their greater reach and the wider audience came the ‘personalized’, humanist style of compositions – known for the variety in range, rhythm, harmony, and notation. Essentially, the musical scope of the era earnestly adopted the polyphonic style, which led to combinations rather than singular voices shaping the music. Suffice it to say, many of the composers of the period, like Giovanni Pierluigi da Palestrina and William Byrd, were inspired by the classical treatises and as such left a lasting influence on the evolution of church music. We should also take note of how the period saw the inventions and the use of harpsichord and violin family of musical instruments, many of which essentially complemented the fluidity of the compositions. Furthermore, on the secular side of affairs, music was gradually endorsed as a form of entertainment and rather encouraged by the new bourgeois class of the ‘middle’ nobility. 10) Is Renaissance Too ‘Generalized’ As a Period? The complex historiography of Renaissance has often given way to debates in the academic circles. To that end, some skeptical historians question the broad categorization of the period (in Europe) between late 14th century to early 17th century as the Renaissance Era. Their argument relies on the lack of empirical data that relates to measurable economic and political (and sometimes even social) change from the said epoch and how their degrees of progression (or lack thereof) are different from the earlier centuries. Simply put, according to such academics, Renaissance as a term is too generalized for a span of over two centuries and the broad classification, in some part, is fueled by the romanticism of 19th-century historians. On the other hand, the ‘supporters’ of the Renaissance theory claim that the era should be defined by the cultural and artistic revival pertaining to the period. And while such factors can’t be measured, they can certainly be observed. To that end, there is no doubt in the academic world when it comes to the developments of art, crafts, architecture, and engineering that was kickstarted by Italian elements post 14th century AD. 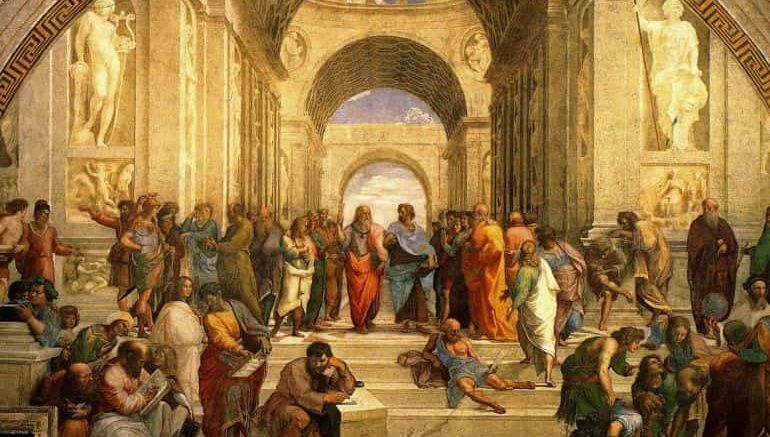 Essentially, while history as a subject is undeniably continuous and ever-evolving in its scope, Renaissance as an era might have just stood apart from the early Medieval period of Europe when it came to the resurgence of worthy pursuits in the fields of philosophy, art, science, and literature.